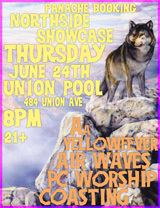 Panache hosts a Northside Festival Showcase this Thursday June 24th @ Union Pool featuring performances by local Brooklyn favorites PC Worship, Coasting, Air Waves, Yellowfever, Aa. Panache Booking at NXNE This Week! Panache Booking Showcase @ NXNE on June 19th @ the Garrison featuring performances by Quintron and miss pussycat, JEFF The Brotherhood, Strange Boys, No Joy, & PC Worship. 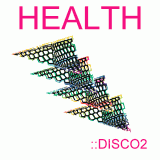 Other Panache artists at the festival are HEALTH, Thee Oh Sees, DM Smith, Silje Nes, & Wooden Wand.